The production location in Ethiopia is an important part of the Beekenkamp Group. The whole process of the young plant material for Deliflor and Beekenkamp Plants starts here. 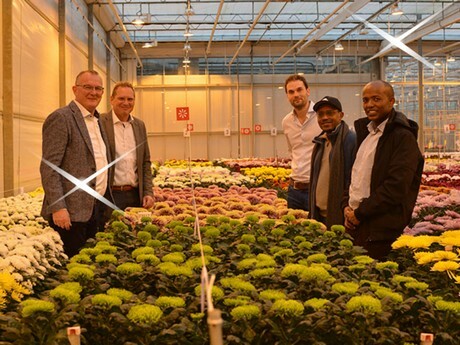 Lemma Megersa – president of Oromo (province where the Beekenkamp Group's production facility is situated), Ethiopia – and Niek Bosmans – agriculture consultant in Ethiopia – visited Beekenkamp in the Netherlands. The visit of Lemma and Niek was intended to gain more insight into the dependence between the companies. Sustainable production was one of the themes they spoke about. There were also talks about challenges that still exist. The president indicated that he is already working on some of the challenges, such as improving the roads in Ethiopia to improve the transport of the young plants.